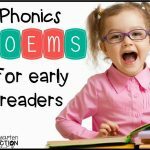 Identifying letters and sounds is hard work – but so fun and rewarding! While we are learning the sounds that letters make, we always need some fun practice! 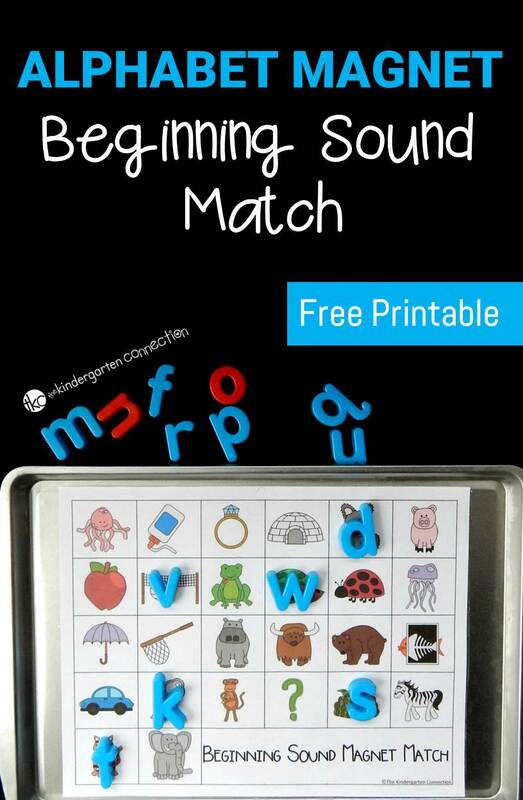 This alphabet magnets beginning sound match uses tools found in most homes or classrooms, and is a fun, quick and simple way to work on beginning sounds! 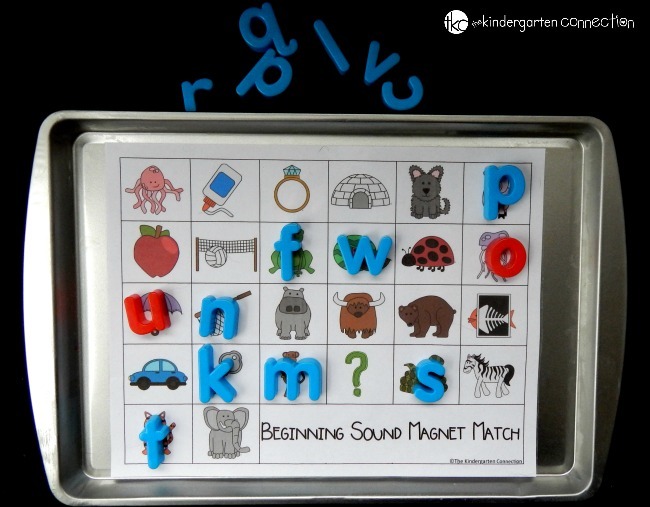 We have several sets of alphabet magnets in my classroom. This set (similar to this one) has lowercase letters and makes the vowels red. 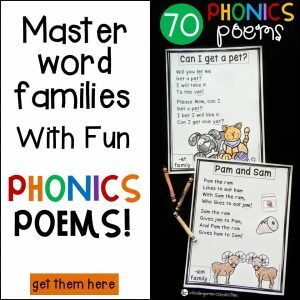 Sometimes that is helpful when we get to word building because my kids always remember that to make a word they need vowels, so it really highlights their importance! I grabbed my set of letters along with a cookie sheet (I have several that I have grabbed from the dollar store!) 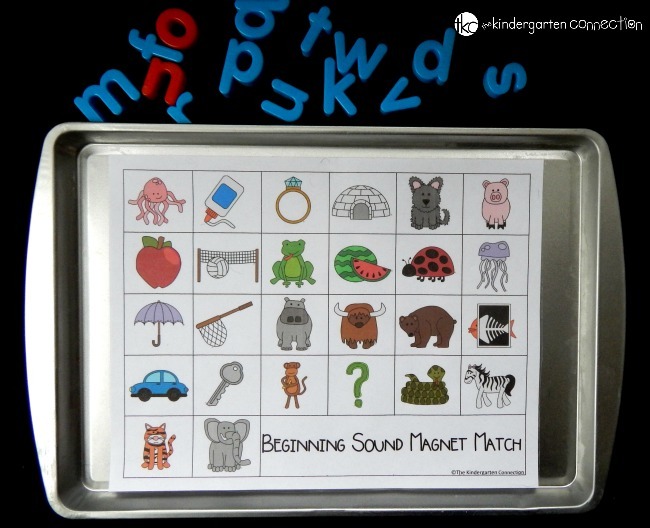 and the game board (below) and my group set off to work on those beginning sounds! There are various pictures on the game board, so what we did was first lay out the letters. Then we took turns picking them up one at a time and saying their name and sound. After saying their sound, we searched for the picture that matched. After identifying the picture, we stuck the magnet on! I love how it sticks there and doesn’t get knocked off or shifted while we keep playing! If you are playing at home, your fridge would work just as well – just use magnets or tape to hang the game board and play a few letters throughout the day! 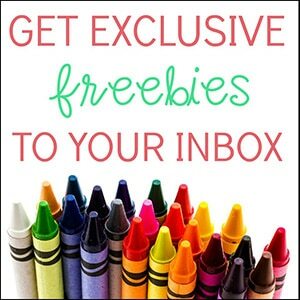 Ready to match up some letters and pictures? Grab your cookie sheet (or your fridge!) and then grab your copy of the game board by clicking the yellow button at the very end of the post. 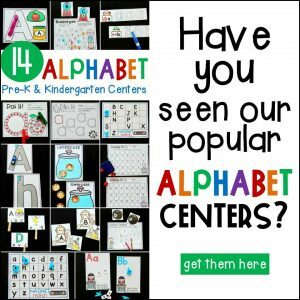 Then, for tons more alphabet fun, grab our Print and Play Alphabet Centers! More Fun with Magnet Letters! 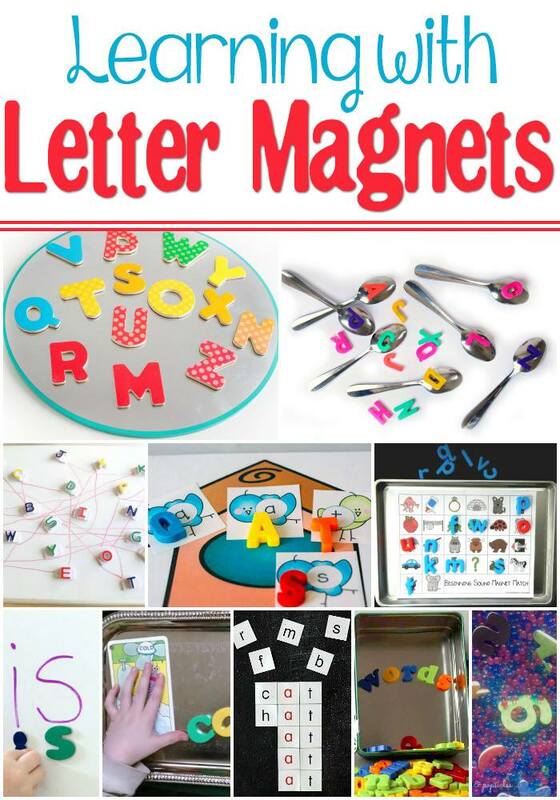 For even more fun learning activities with magnet letters, check out these posts from some awesome kid bloggers! 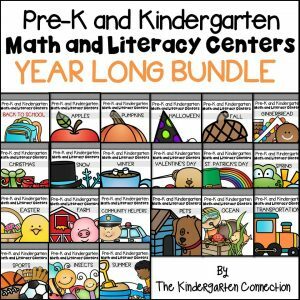 My Kindergartner and Preschooler will love this one! Thanks! Thank you. This will be a great center activity. Great resource! Thank you so much for sharing!! Love your resources!! !